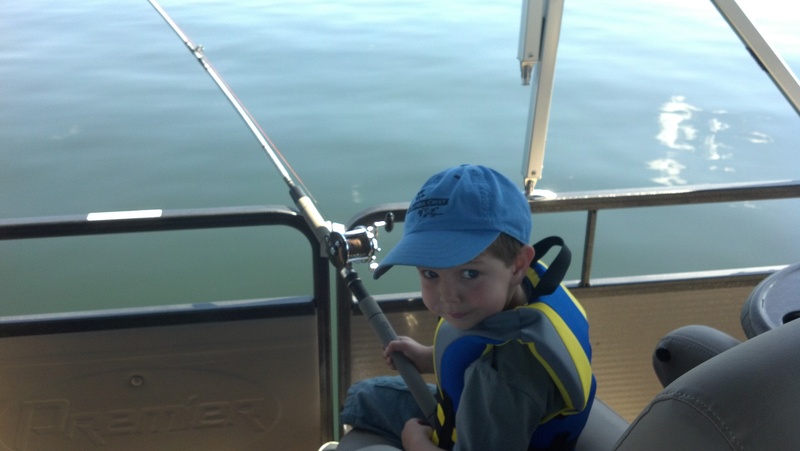 Today was Henry’s very first fishing trip, thanks to Grandpa Fry, who provided poles, fishing license, boat, experience, net, and – unfortunately – no fish. Didn’t matter, though, Henry loved it, and it was a beautiful day on the water. Thanks, Grandpa!